Matt: Chucking Pandemic Legacy in the bin proved to be an uncomfortable day for my board game collection, causing a cardboard-flavoured existential wobble. 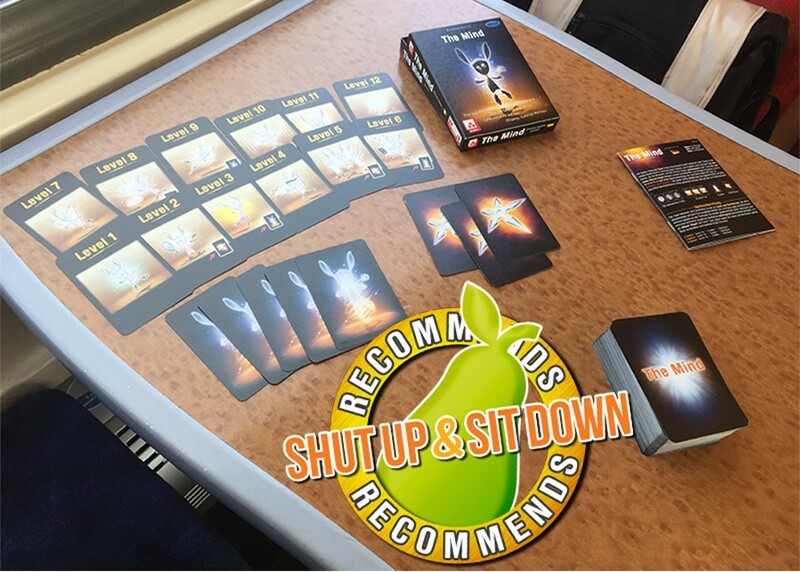 As much as I love – had loved – Pandemic, experiencing the full-fat campaign spin-off had left me wondering if I’d ever bring myself to go back to the standard co-op game that had been such a household staple. 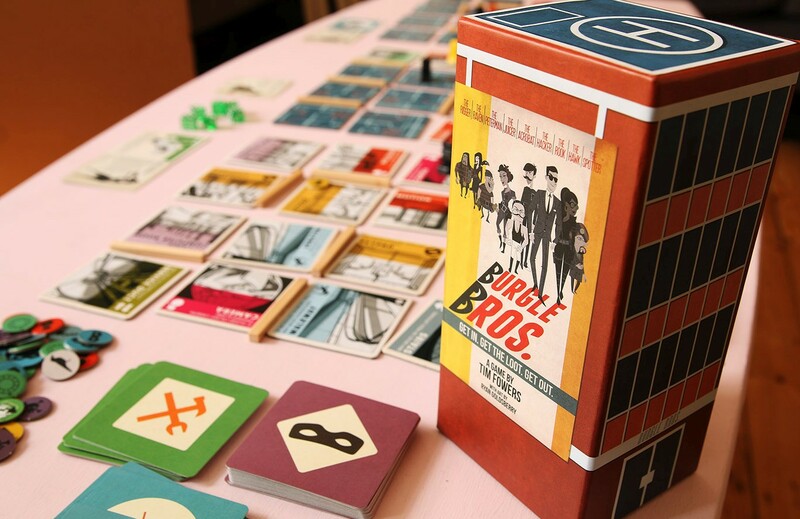 I’ve spent a while poking my nose around for a worthy replacement, and – for me – I think it might be Burgle Bros. 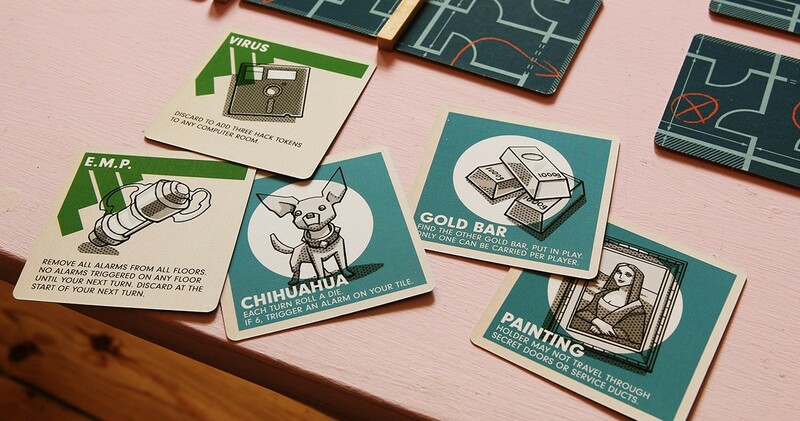 Dropping two to four players into a classic bank heist, Tim Fowers’ has squeezed an almost comical amount of theme and bits and ideas into a box that – being generous – might hold a small shoe. Our intrepid / idiotic thieves have failed to case the joint ahead of the job, so it’s up to you and your Colleagues-In-Crime to first find the safes, then crack them, grab the loot, and get out. Easy! Except you also need to do this on three different floors, which means someone should probably find the stairs. And there’s a guard patrolling each floor. Oh, and if you can’t open that locked door within the next few minutes – we’re done. Where’s Kevin? Kevin just set off two alarms and then fell off a balcony. I’m not sure Kevin was looking where he was going. After ensuring that each floor has the required safe and set of stairs, everything else is randomised, placed into three 4×4 grids, and then topped off with tiny wooden walls to give the building structure. Do not make me explain how buildings work, this is basic stuff I can’t believe we’re doing this. Aside from the room in which you all enter the building, there’s really only two ways of working out what any of these flipping rooms are: either spend an action peeking when you’re next to it, or save yourself a precious action and discover what’s ahead of you via the medium of your legs. What could possibly go wrong when running into the unknown? Well! There’s a chance the room will trigger an alarm if you end your turn in it, or don’t spend two actions to move through it, or can’t. Perhaps it will be a balcony – which comically is only EVER activated when players run into it without peeking first. Down one floor of the building you’ll fall, making Oceans Eleven look like Snakes & Bloody Ladders. The vital question here is, why would do you do that? Friends, are we in some kind of rush? Well. About that. Each floor has a guard with clear patrol orders that are strange and thorough in equal measure. At the end of each turn he’ll move towards a fixed location known to every player, but you’ve no idea of where he’s going next – at which point you’ll draw another card from his deck and he’ll trundle off towards his next destination. Everything changes when you trigger an alarm, KEVIN. The guard will then head towards that location, rapidly – often making your well-honed plan look like a sculpture made of Duplo and soft cheese. 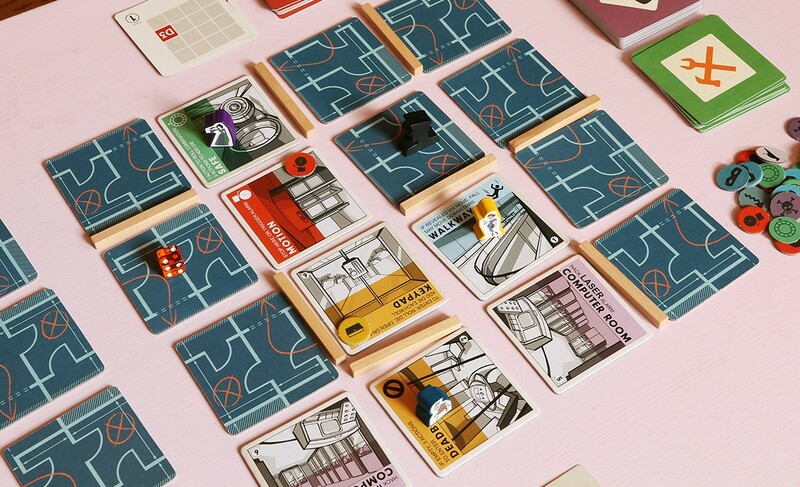 The crucial thing about Burgle Bros is that as the guard on your floor moves at the end of each player’s turn, you often have to leave your character in a place that you’re sure will still be safe after the guard has moved twice, or even three times. Can you be sure of that? No. This is when you get into the sticky practice of setting off alarms as a tactical decoy to save other players, or purposefully moving to a different level of the building so that the guard on that floor moves instead. 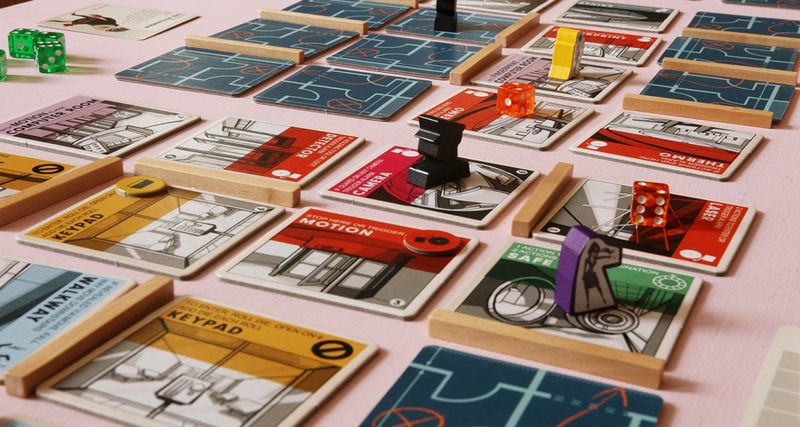 It’s at this point that Burgle Bros begins to resemble a sort of mad clockwork sandwich, with cogs unexpectedly shifting between layers and dumping all of your beautiful plans in the bin. Crucially, almost always because of the misguided choices of your bumbling team. This is where we strike into the delicious core of Burgle Bros: At the start of the game you don’t know anything, and the risks you’re calculating are so thoroughly intangible that the decisions that you as a team need to make involve debates that anyone can get involved with. Should you take it slow, or step up the pace and run into the unknown? It’s worth noting that if you don’t take more than 2 actions on your turn, you’ll trigger an ‘event’. It might be good! It might not? Should you take things slow and risk finding out? Probably not! Once things heat up, choices become more informed. 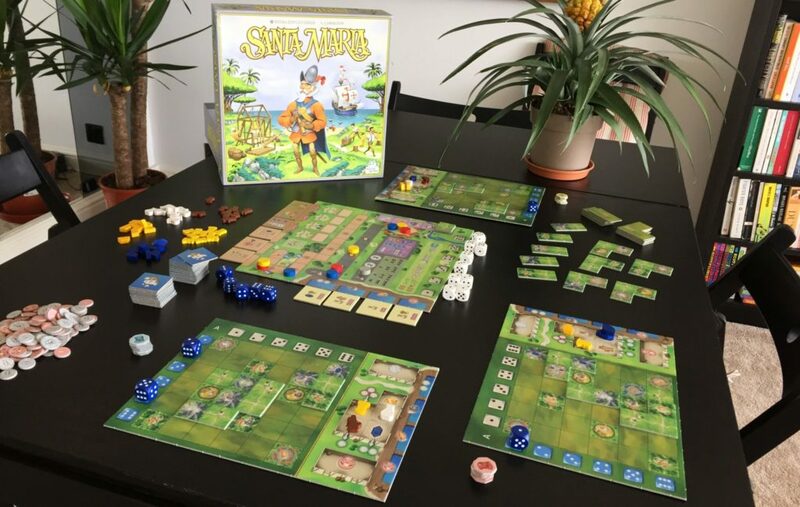 As players you know exactly how many of each tile are in the whole game – and if you look at the discard pile for each guard you can see where they’ve been, and start to make educated guesses about where they’ll go next. You’re still dealing with constant gambles, but the importance of information might change how you play. You don’t need to uncover every tile on a floor to open the safe – just those in the same row and column. But is it worth someone staying behind to scout out everything else, or should you all just leg it? Wonderfully, while your knowledge of the building can only improve – your grasp of what the guards are up to is bumpy and erratic. Once a guard runs out of movement cards they all get re-shuffled, and the number on dice that represents both his current destination and movement speed will be CRANKED UP A PIP OH MY LORD HE’S GETTIN NIPPY. If any one player gets seen by a guard three times, the jig is up and the game is whatever is the opposite of “afoot”. To make matters less comfortable, each guard deck also contains a card which is effectively a great big fat question mark. Whoever’s helping you out remotely just lost sight of them, I guess you’ll find out where they are next turn? I mean, hopefully they won’t turn up there. Not there. The process of trying to control the guards like dogs or kites or dogs with kites is such a major part of how the game hangs together. Every alarm adds unwanted risk, often creating a cascade of mistakes that can only be fixed by taking increasingly bigger risks. Set off that alarm, and then that one. One minute you’re a team of svelte George Clooneys, the next you’re juggling crime souffle with what appears to be a fork. And it’s all your fault! Hooray! This randomised playhouse of gambles and snap judgements immediately springs to life with new players as you really don’t need to know what any of the rooms are. 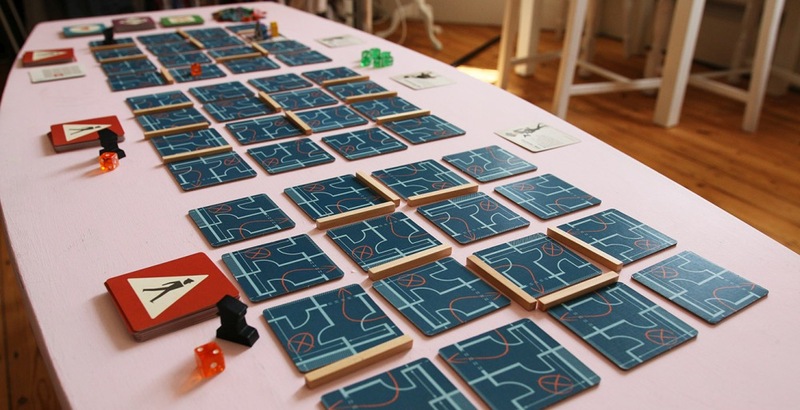 In fact, going in with the bare minimum of a rules explanation is almost definitely more fun. You’ll lose, but who cares? 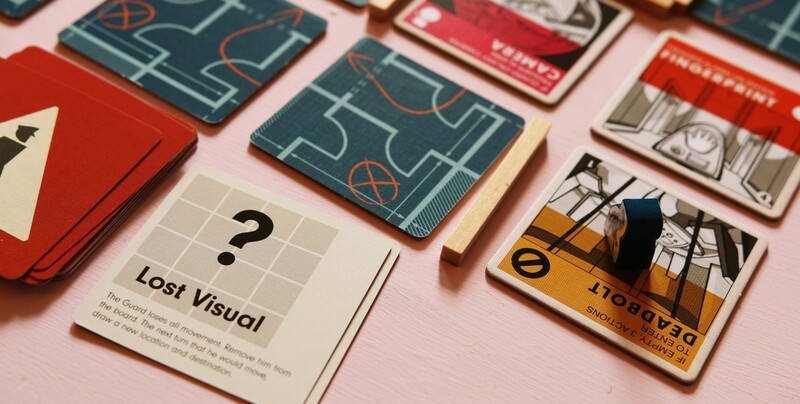 What I love most about Burgle Bros, though, is the way it eliminates analysis paralysis through the different phases of the game: by the time you’ve got enough concrete information to reliably make informed decisions as a team, your situation will have become focused (or “desperate”, if I’m being honest). 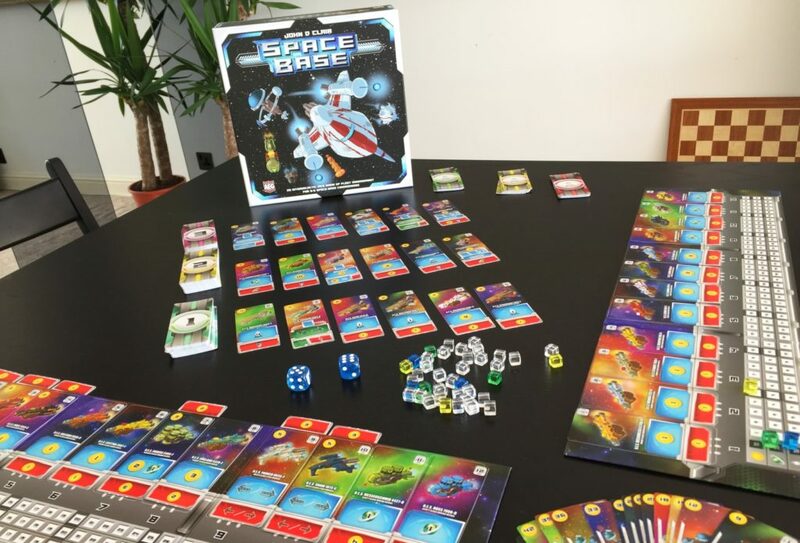 Madcap moments of “WAIT, WHAT IF” do exist, but you’re still fundamentally looking at a game of shared luck, shared failure, and a metric ton of laughs. If it isn’t strikingly clear from the photos, the lashings of absolutely bang-on theme make both success and failure in Burgle Bros wonderfully apt and tons of fun. No matter how wonderfully you seem to be doing, you’re only ever a few bad turns away from losing – which is an aspect I can imagine some might find frustrating – but in the context of the theme I really love the constant randomised edge. I have fond memories of the smooth heist I nailed with my brother last Christmas, but equally fond memories of the ones that just went so, so wrong. If you know what’s good for you avoid banks in West Devon throughout the festive period of 2017. Oh and finally, about that loot you’re grabbing? It might be a cat. Did we mention that it might be a cat? At the start of each turn roll a dice – on a 1 or a 2, that cat will leap from your arms and run one space towards the nearest alarm. You see, every piece of luxury guff you’re hoping to pinch is drawn from another deck of cards, and each comes with a unique problem of its own – the majority of which are wonderfully thematic. A pile of gold bars requires two thieves to carry it all, an ornate mirror means you then lose a turn each round, presumably to the powerful allure of your own reflection. You’ll never know what extra challenge you face until you actually open the safe, but you’ll also find a tool. Lugging around one of these one-shot devices will increase your chances of setting off an alarm, but it might just prove to be utterly invaluable. Deactivate alarms with EMP, distract guards with donuts, or simply blow a hole in the roof with a thermal bomb and then announce to your colleagues that you’ve “found the stairs”. 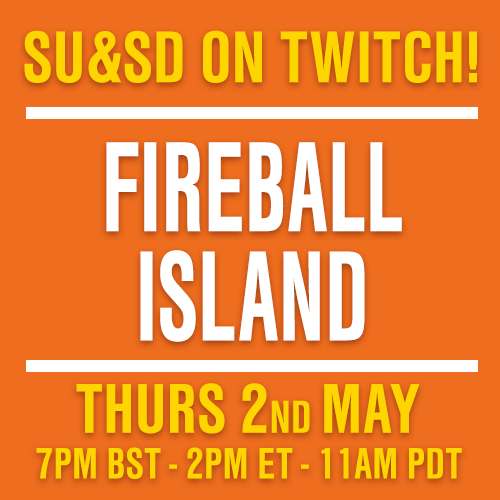 When you then throw the wide spread of character choices into the mix – each of whom has an alternate skill for more experienced players – you’re looking at a real wealth of stuff to toy around with. It might be the game that bumps it out of my collection, but this certainly isn’t the same kind of beast as Pandemic. Matt Leacock’s Fun Disease Game is a solid bit of design that flirts with luck but can largely be deconstructed and understood despite that. The heart of Pandemic is elaborate clockwork, which is what makes it wonderful – but it also means you have to buy expansions once you’ve sussed out the cogs of the original puzzle. 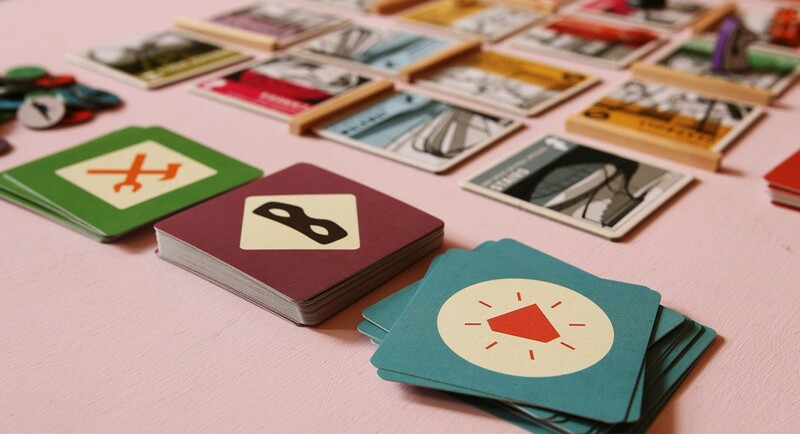 Burgle Bros is a game that dollops a lot more chaos onto your plate. Lucky combinations of characters and tools might offer you a heist that’s as slick as warm butter. Perhaps the guard on one floor will just never patrol near you? Maybe by the time you find the nastiest alarms, you’ll have already hacked the terminals that let you bypass these systems. Or perhaps you’ve found a secret passage that just happens to let you avoid all sorts of trouble entirely? These elements are the spice that bring each session of the game to life, injecting so much joy and hilarity to a theme that is already supported expertly by the gorgeous art of the game’s room tiles – which are possibly my favourite component in any game to date. 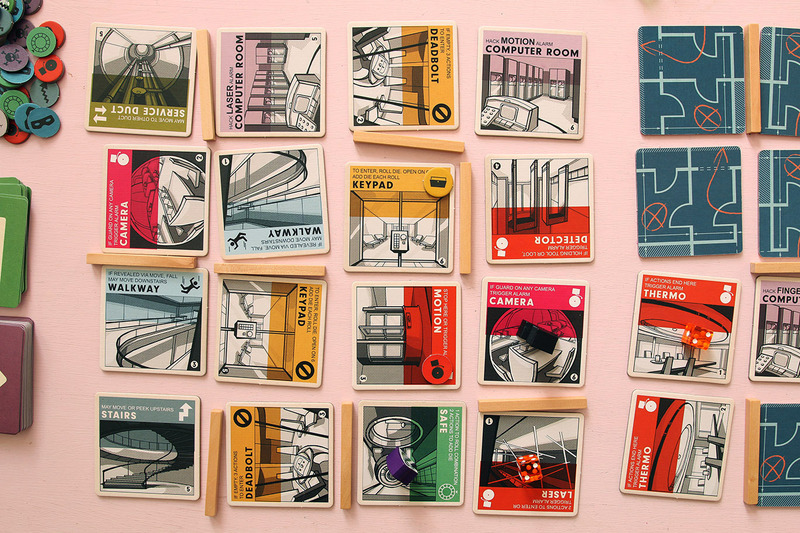 Burgle Bros isn’t always fair, but it always feels like an awesome heist game. In the context of just one session – of a puzzle that you’re working together to beat – there are far better co-op games. But when you begin to treat each session as a wider performance in your overall career, I adore the texture that’s provided by misfortune. If you were failing to save the world, it might frustrate. As it is, you’re greedy crooks who got what was coming. It’s like they always say: the best-made heists are best left unplanned.